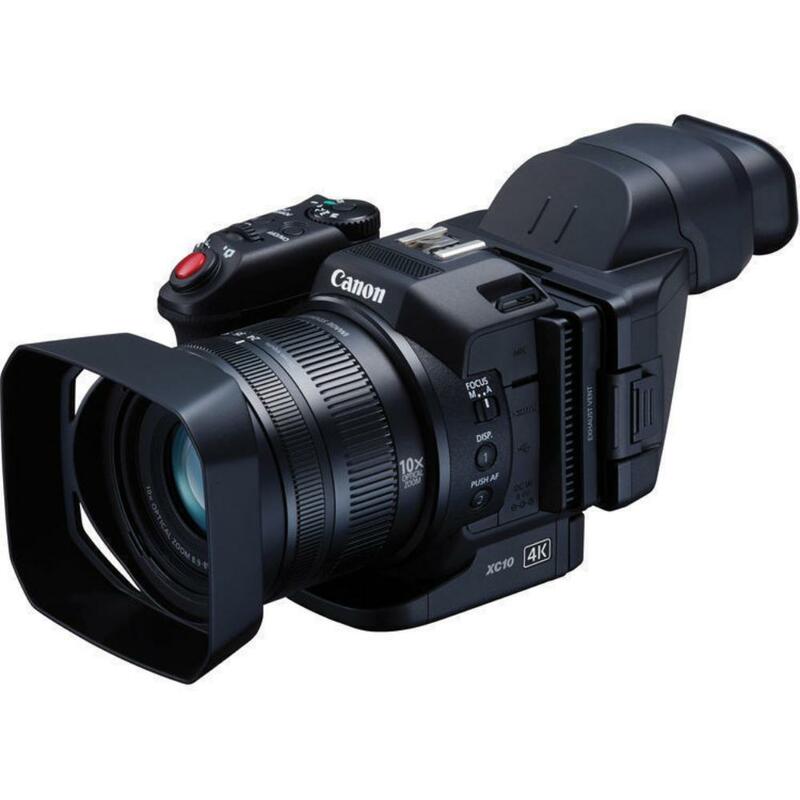 The Canon XC10 4K Professional Camcorder incorporates an SLR-style manual zoom lens with AF/MF focusing capability and 10x zoom. It is designed for use in both video and still shooting with a hot shoe that supports Canon flashes as well as LEDs, monitors, and other production peripherals. The entire thing consumes minimal power for an extra long battery life (rental of extra LP-E6N batteries recommended). The 3" touchscreen provides intuitive control over the settings and the form factor is ergonomic with a comfortable tilting grip ideal for handheld shooting. You can also shoot 4K footage to a CFast card (included) while using stored customizations from an SD card. 1080p video and photography can be recorded to SD cards (not included). This is a versatile camera that is great for 1-camera operations, events, run-and-gun style shooting, documentary work, or everyday shooting for the extreme enthusiast. 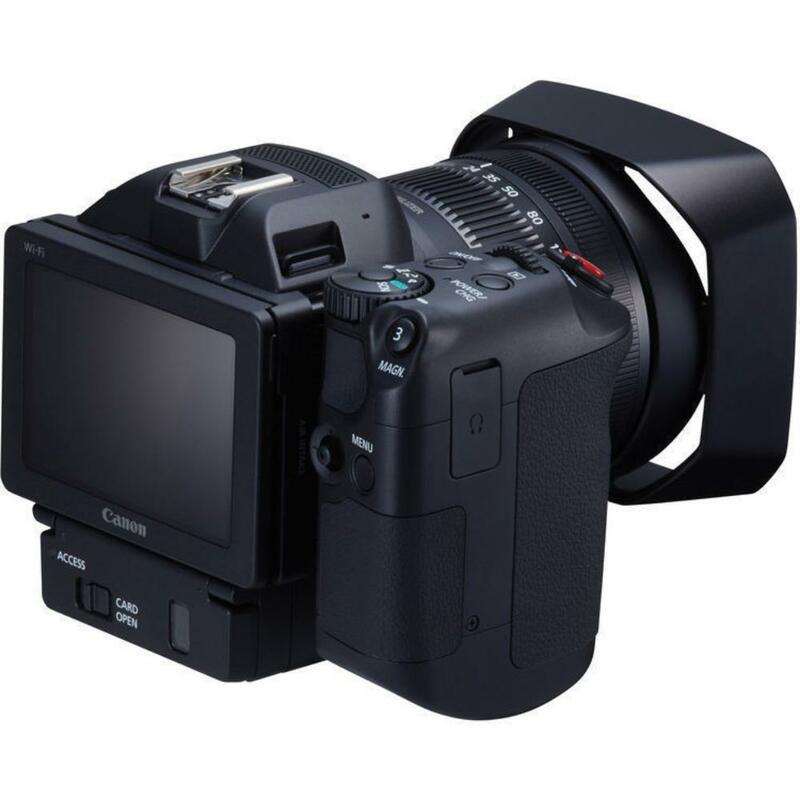 • This camera has a built-in 8.9-89mm f/2.8-5.6 (35mm Equivalent = 27.3-273mm) lens and you will not be able to remove it for other lenses. • 4K is only recorded to the CFast card, while HD is only recorded to an SD card. A CFast card is provided but SD cards are not. 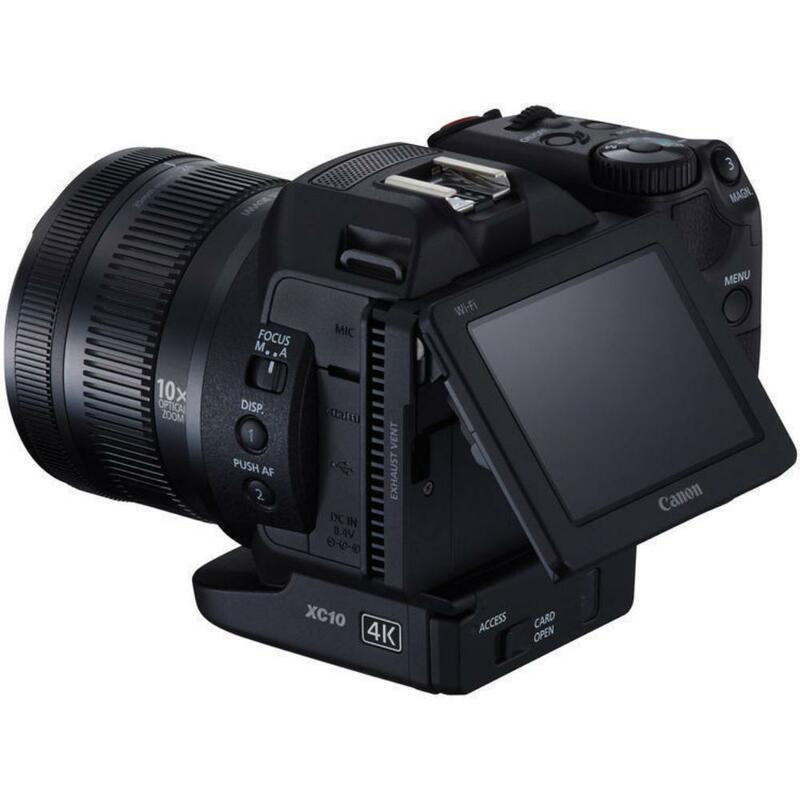 • 4K is in XF-AVC.